1. Choose Preferences -> Accounts, click "+" to add a new XMPP account. 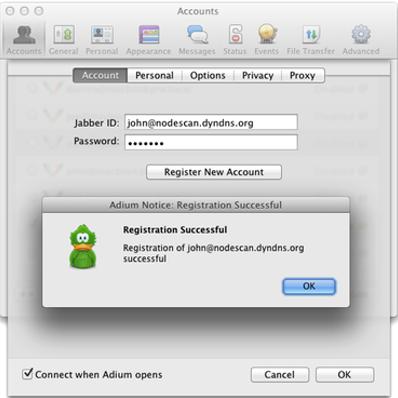 Enter a new jabber ID and a password then click "Register New Account". 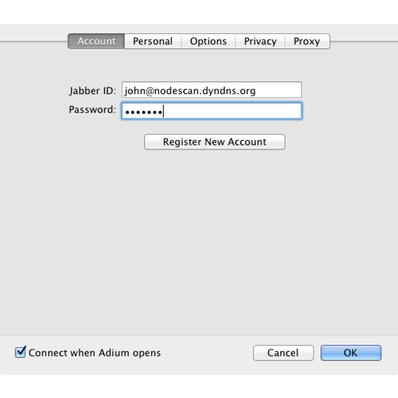 2.Type the hostname for the sever, then click "Request New Account" (again). 3.You should see the "Registration Successful" message. Refer to the Nodescan Client QuickStart guide for information.